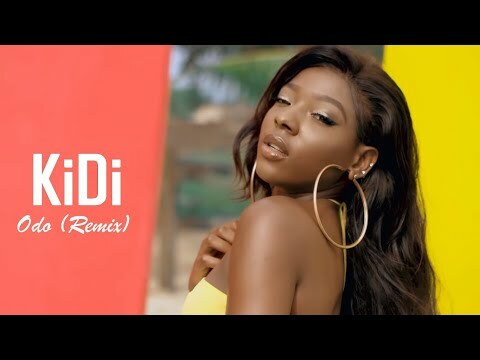 Exceptional vocalist of Lynx Entertainment, KiDi serves a remix treatment of his sensational hit song aptly titled “Odo.” On this one, the Ghanaian singer scores the massive heavyweight feature of Davido and Mayorkun of the DMW fame. “Odo Remix” is one gem that was bound to happen. Mayorkun had linked up with KiDi when traveled to Ghana recently to promote his latest single, “Mama.” With the original version of “Odo” tearing up the airwaves in the West African nation, the end result of this remix is now a sub-continental banger. “Odo Remix” packs a groovy and wavy love-inspired ballad as well as ode to the special lady. KiDi and Mayorkun do not have 30 billion in their accounts, but they do have true love in its purest form to share. Omo Baba Olowo (O.B.O) on the other hand would share his 30 billion, spoil his woman silly and still offer his heart for happily ever after. “Odo Remix” is just one smooth and beautiful piece of music that streams right into the musical mind and soul. KiDi proves to be the next big thing and even flaunts his multi-talented abilities as he self-produced “Odo Remix.” He is is the winner of the 4th Edition of the MTN Hitmaker series, a music reality show pioneered in Ghana. Get into the cupid mood, slide this link into the DM of your crush and watch it do wonders. However, do remember to share your thoughts and opinion in the comments section below.